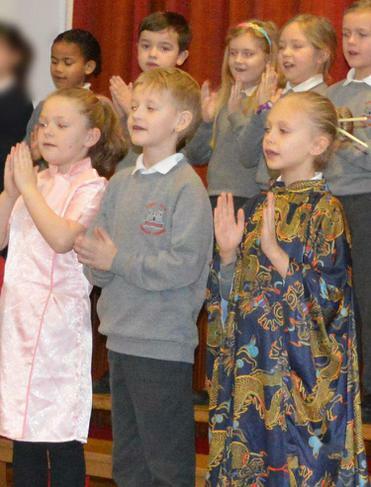 At Fort Hill Integrated Primary, we welcome children from all over the world. Mrs White has a big map in our hall showing where lots of different pupils and staff come from. We had lots of fun looking at the map and finding where in the world people are from. 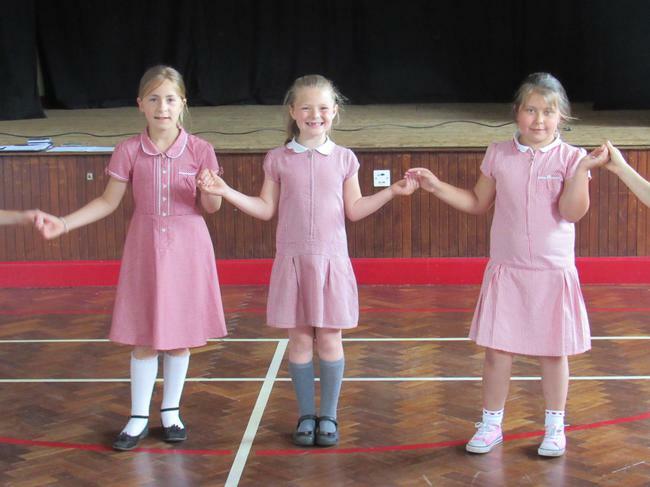 On Wednesday 15th June, Lucy came in to teach us some Scottish dances. We learned 3 dances in one session! 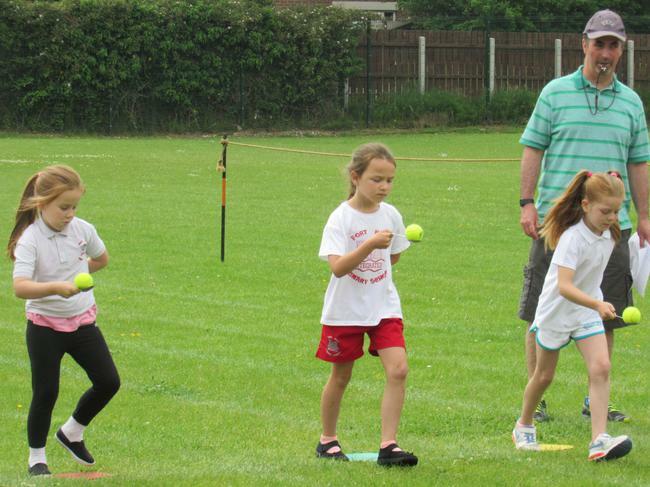 Check out the star below to see lots more photos! 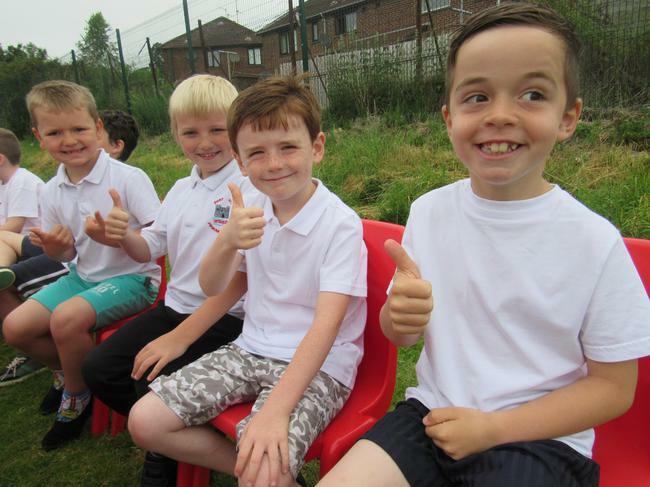 The final week of Explorers' Club was on Monday 13th June. We celebrated with a camp fire. 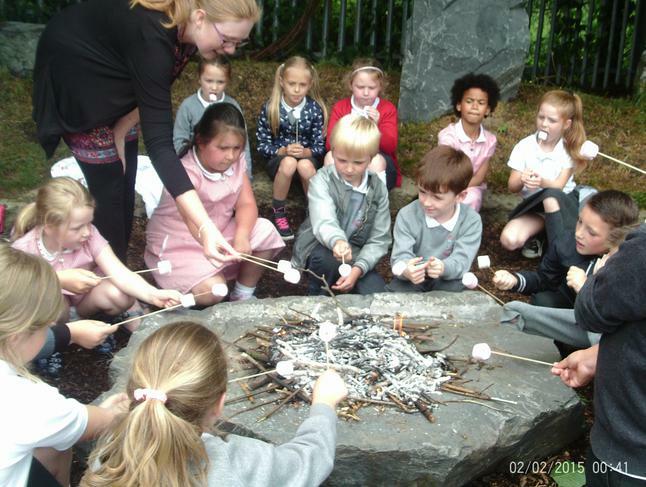 After we built the camp fire we toasted marshmallows - it was fantastic! 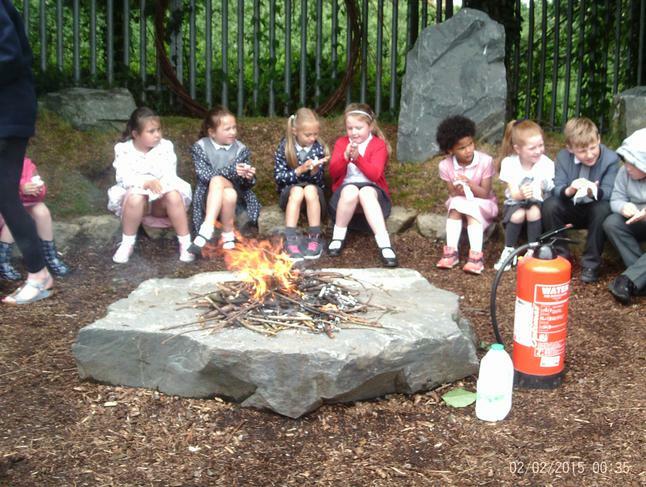 Mrs Jones and Mrs Johnston helped us think through how to stay safe around fires. I hope we get to have Explorers' when we are older! Check out below to see a few more pictures. 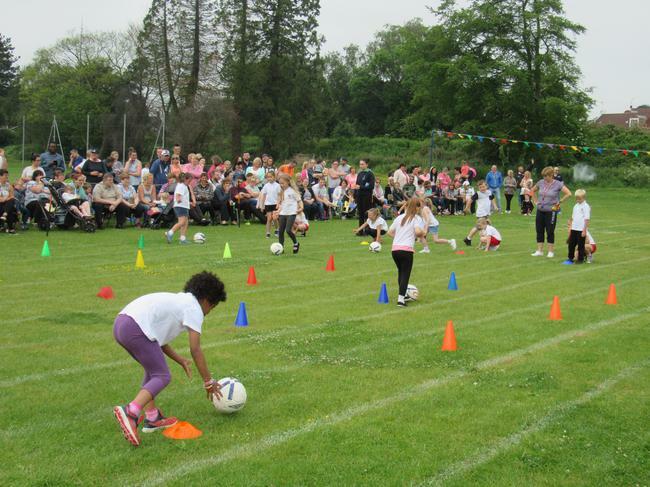 In P3 we had a running race, ball and spoon race and a relay team race. 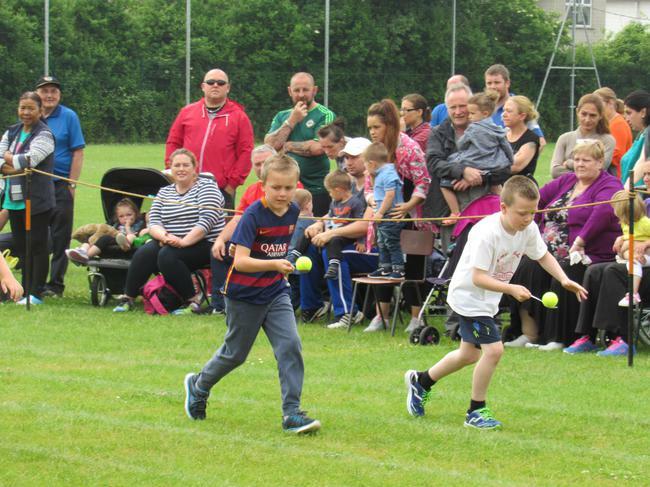 Lots of our family members came to watch. We love when they come into school for special occasions. 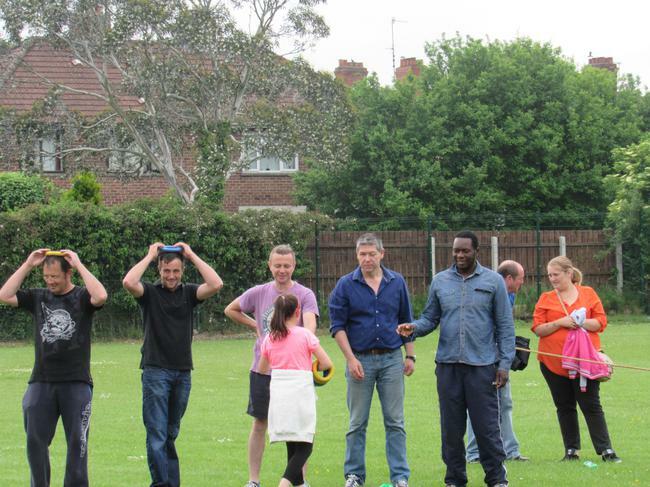 It was fun to see some of our parents take part in the races. We know it is not winning which is important, but taking part. Everyone has different skills and talents. In Fort Hill we like to celebrate success. 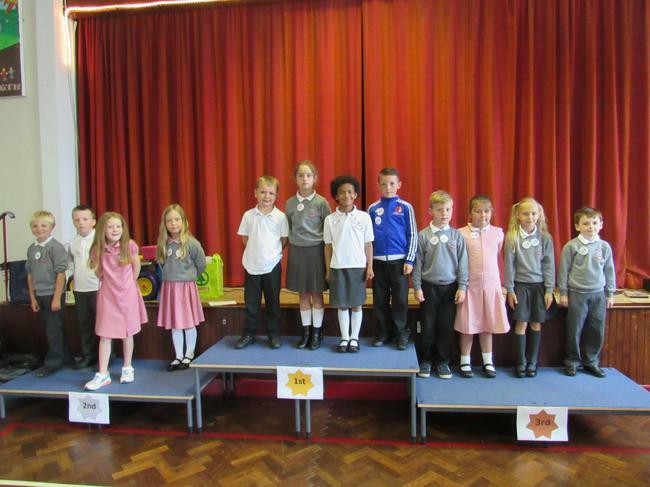 We get certificates each month for work, progress and behaviour. 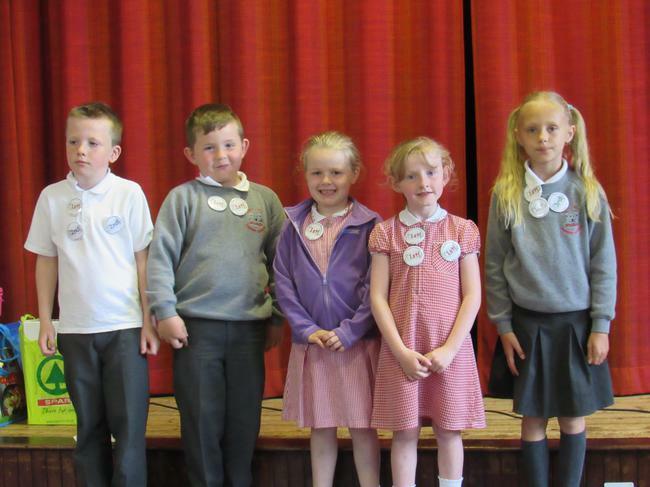 Those who did well on Sports' Day were given special badges at a special assembly. 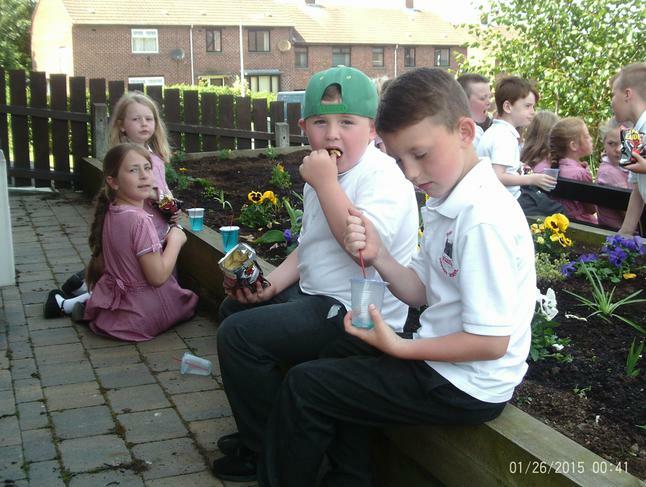 On Monday 6th June we walked to the Community Garden on the Low Road. The sun was shining and we were excited to have the opportunity to make our community look even better. 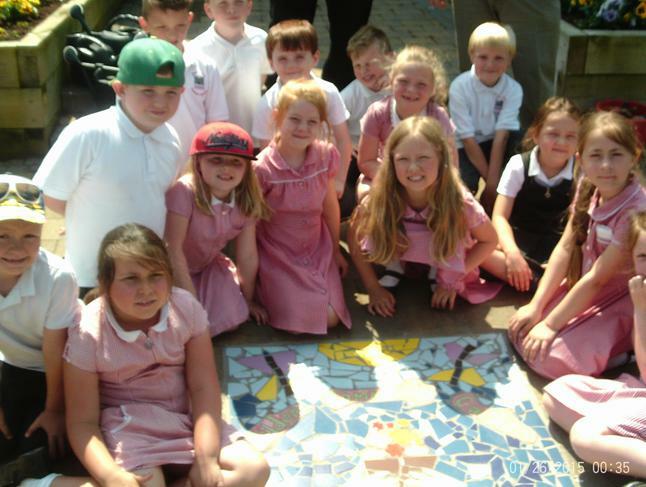 The mosaic in the garden was made by children in our school a few years ago. Lots of us live near the garden - we even passed some of our houses on the way. 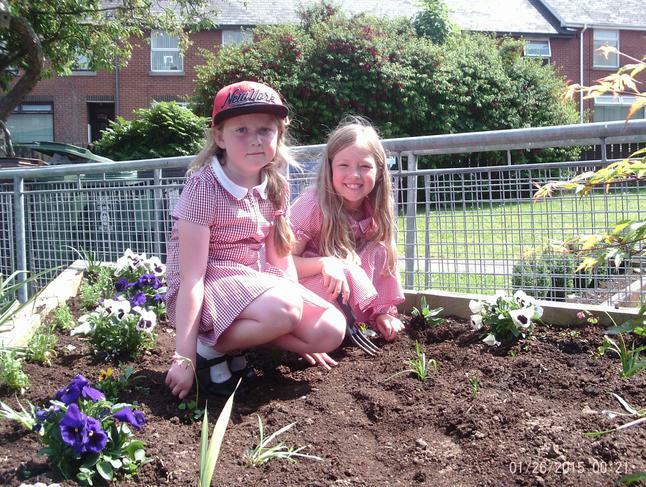 It was lovely to see the plants growing which had been planted last year. 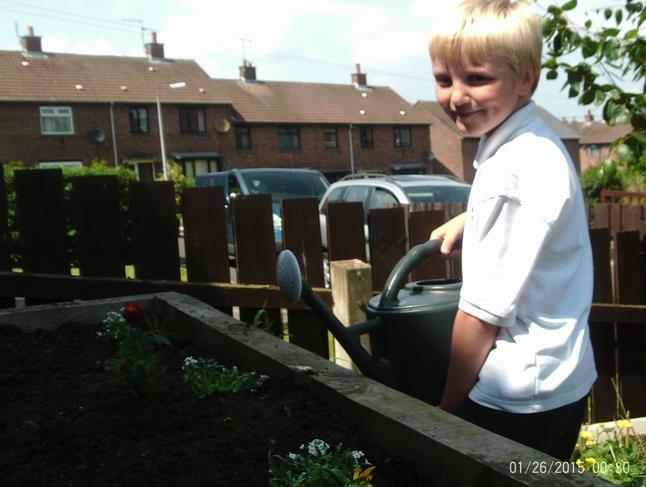 We got the chance to plant, weed and water the flower beds. 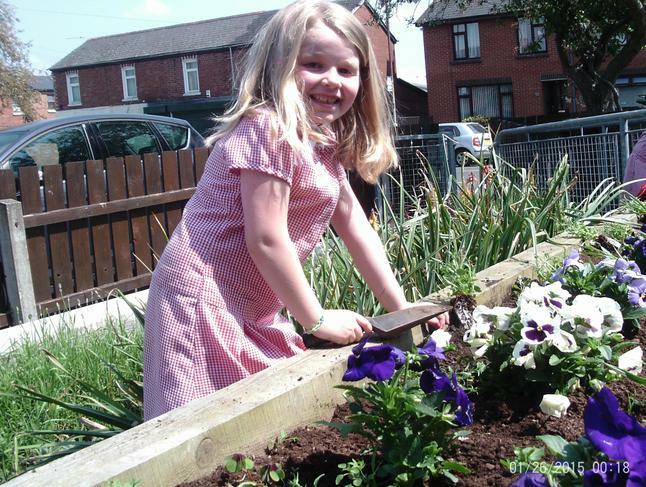 The people who look after the garden and community centre were so kind to us. 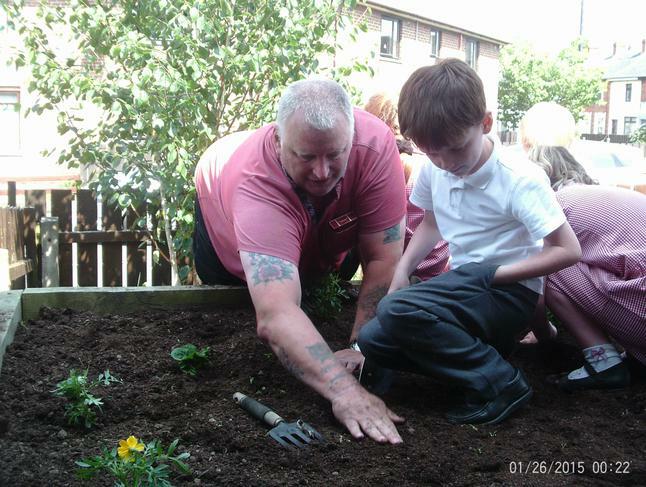 They helped us learn new gardening skills. 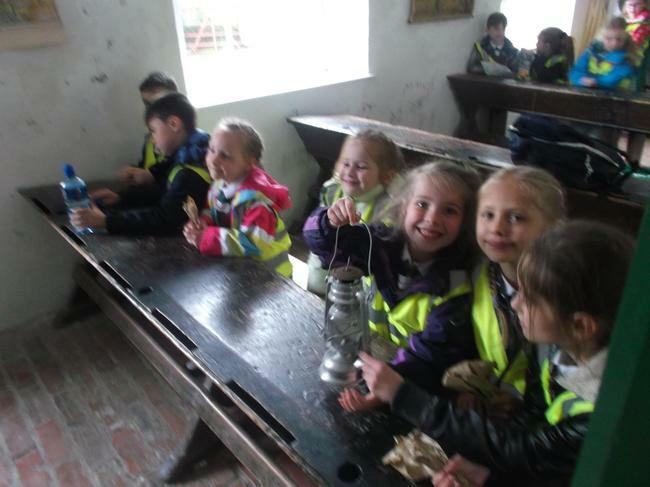 They even gave us a little snack - we were glad of it after all that hard work! We got a group photo - it was difficult to get us all fitted in but I think we managed it! 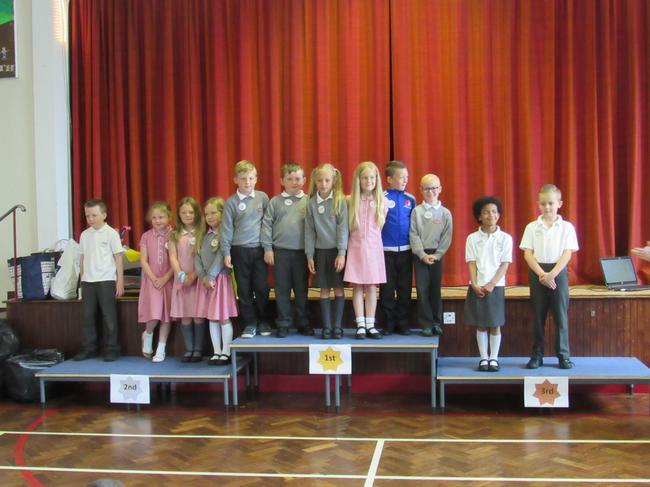 There are some more pictures - click the big star below. 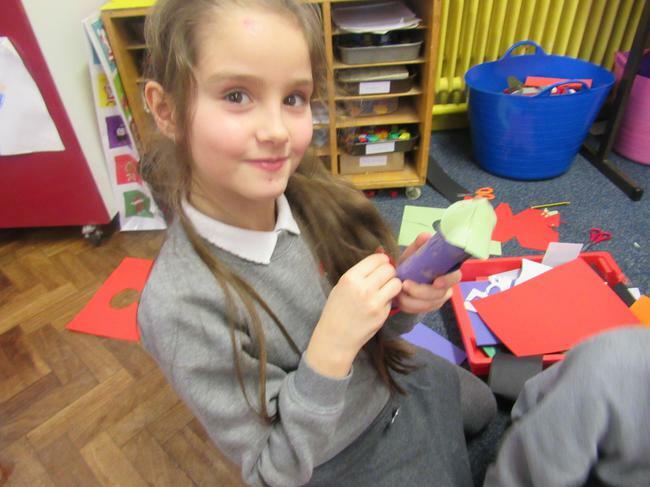 We had fun making clay treasure islands with Mrs Best. 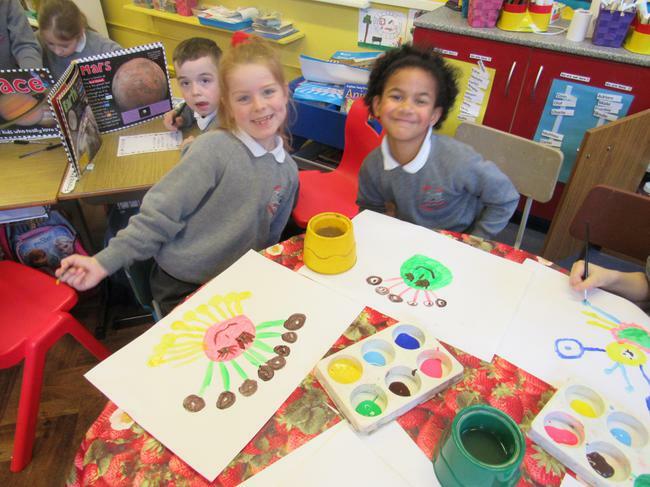 We flattened, coiled, rolled, slipped, pinched and marked clay to make our amazing creations. 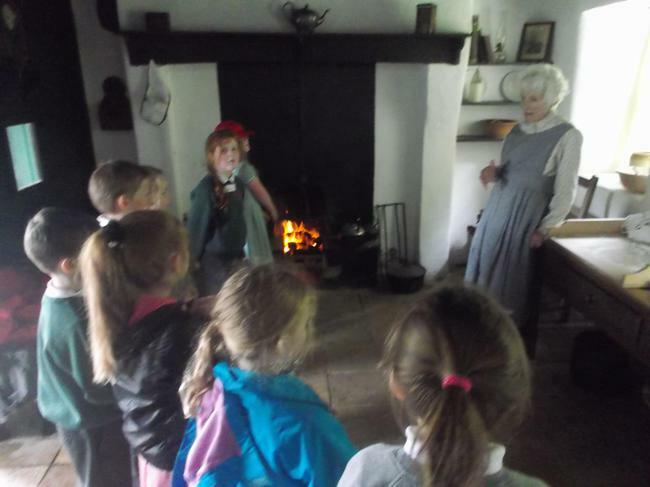 On Thursday 19th May, we went on our class trip to Cultra Folk Park. We went with our friends from Brownlee. Together, we learned about what life was like in the past. 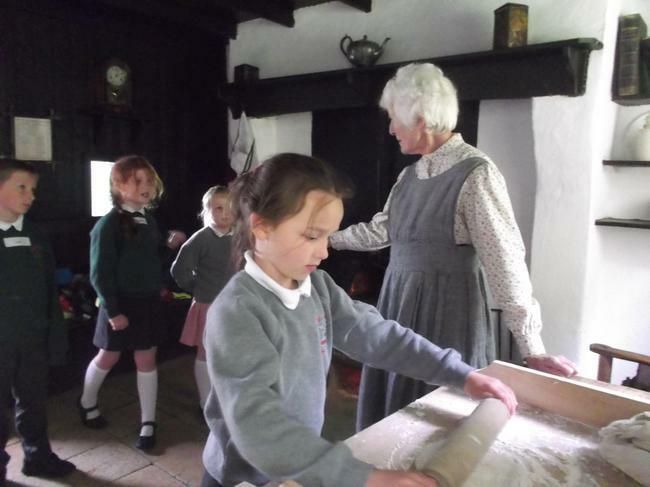 In the 'World Around Us' we have been learning about 'Houses and Homes' in the past and how people lived. 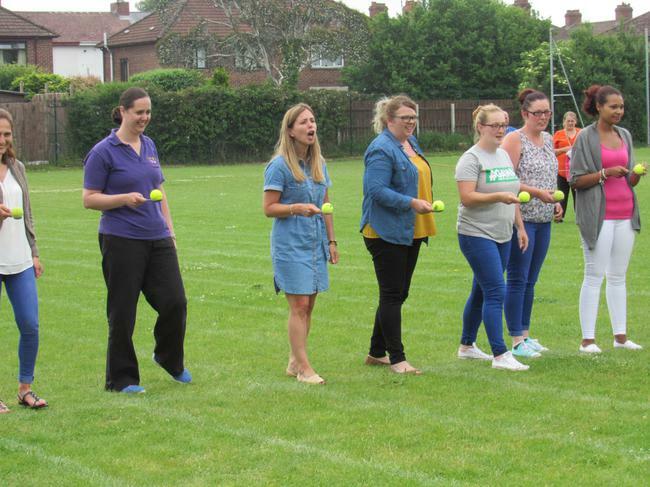 It was really interesting to take part in lots of different workshops. 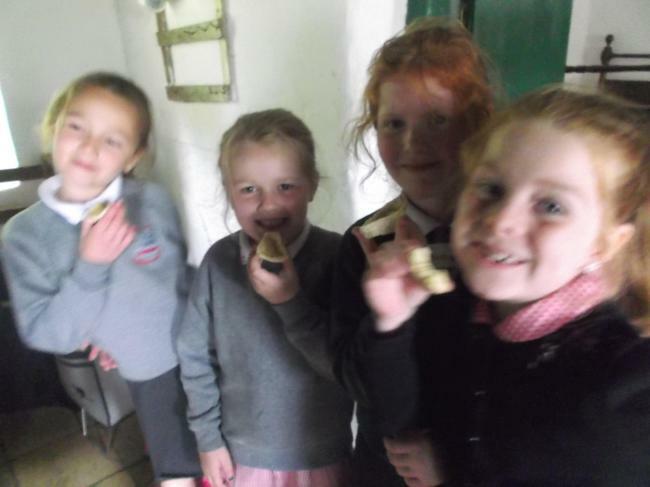 Here are some photos of us making and enjoying our soda bread! Check out the star below to see some more photos. Hopefully there will be lots more to follow! Through the story we learned how important it is to be kind and considerate to others, even those who are sometimes mean to us. By being kind to others, we may change their attitude as well. Click on the link below to see lots of cool photos! 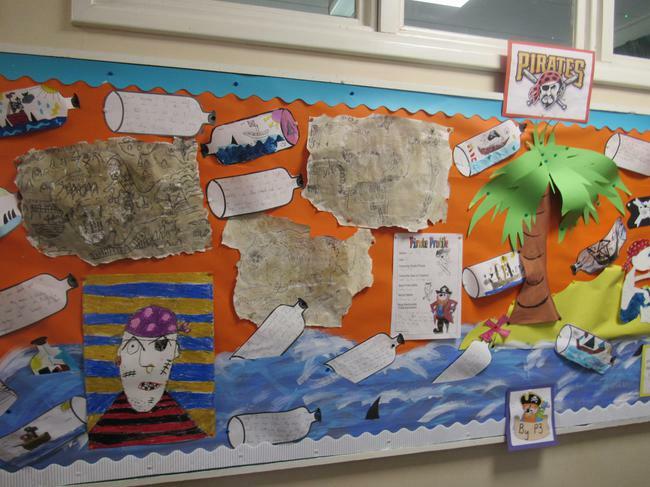 This half term our topic is all about pirates and life at sea. We have been VERY busy! 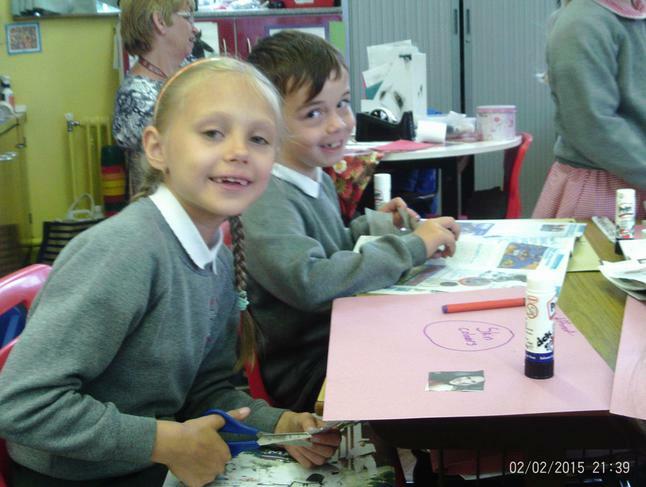 Here are some of the things we have been doing.. .
Click on the star to see lots more photgraphs of us learning! We have been learning to carry out different experiments this year. Linked to our Pirates topic, we explored floating and sinking. We made predictions about what we thought might happen. Then we carried out an experiment to test our ideas. After we talked about why a small metal paper clip sinks but a huge metal ship will float. 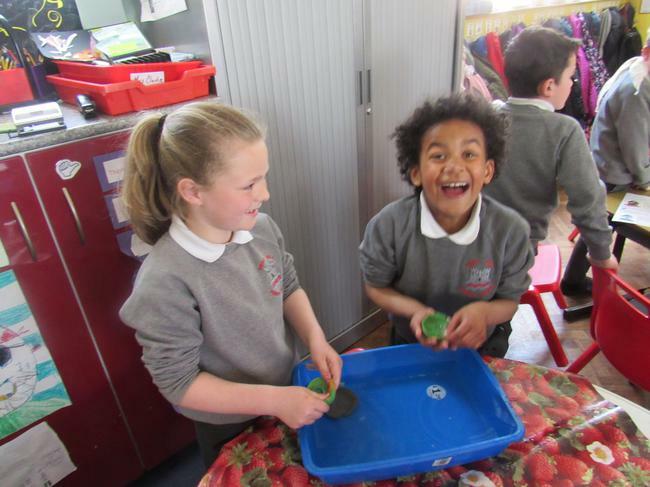 We experiemented making our own 'boats' using balls of plastecine. We worked really hard - some of us managed it, some of us didn't! Miss Boomer from P6 came to see us experimenting. Even though we didn't all manage it, she was pleased to see us working hard and trying lots of different ways to solve the problem! 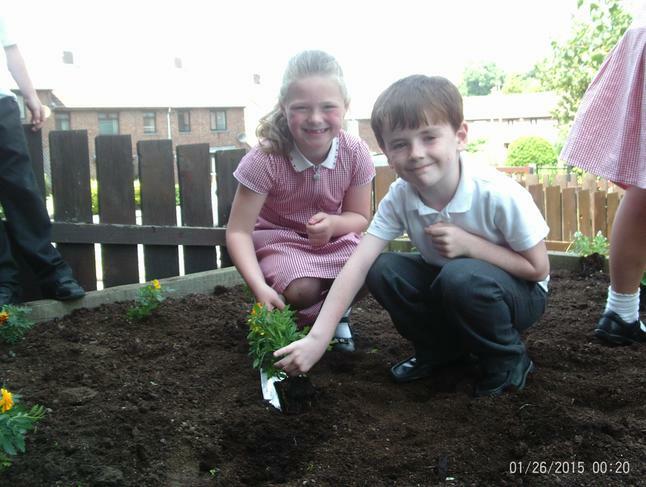 Explorers' Club started for P3 on Monday 18th April. This will run each Monday until 13th June, except when school is closed for the May Bank holidays. Each week please make sure your child is prepared for the weather. # It is always helpful if they have a pair of wellies or old shoes to change into. # On cold or wet day, children should have a waterproof coat. # On warm, sunny days, sun cream and a sun hat are advisable. During Week 3 we were very excited to make dens. 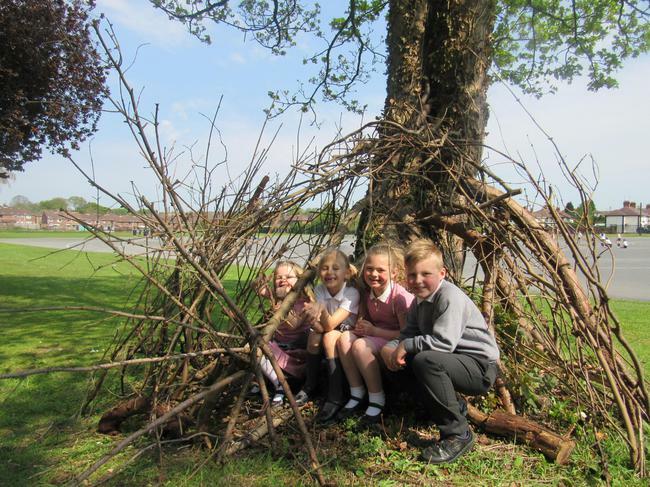 We split into two teams and then worked together to build a shelter which would hold four people at a time. We had to choose a safe place to build and then gather big branches to make the main frame and then smaller sticks to fill in the gaps. We then had to test it out. It was lots of fun! 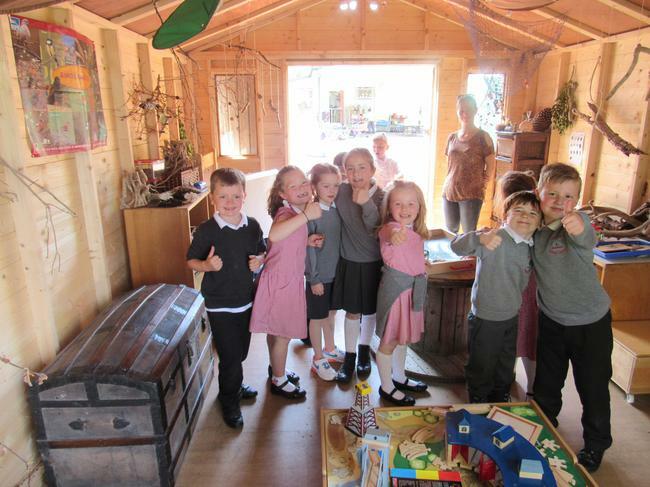 Click on the star to see more pictures of us den-building. On Wednesdays, Jessica comes to teach us Spanish. 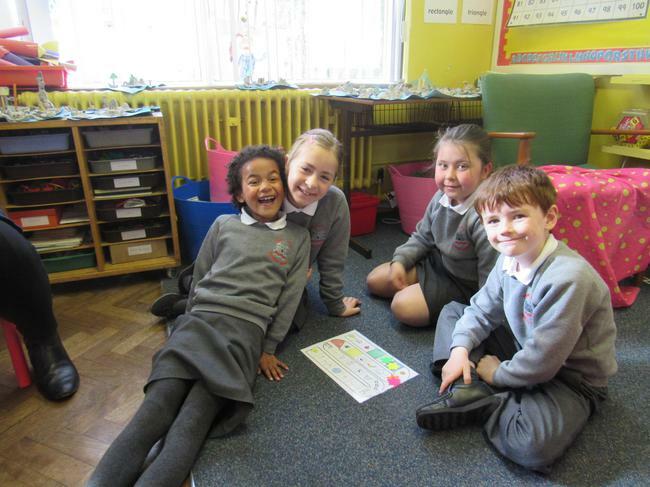 We played a board game to practise all the words we have been learning. Mrs Johnston was amazed how much we all know - we know lots of colours, numbers, sizes, fruits, animals, emotions and vehicles. 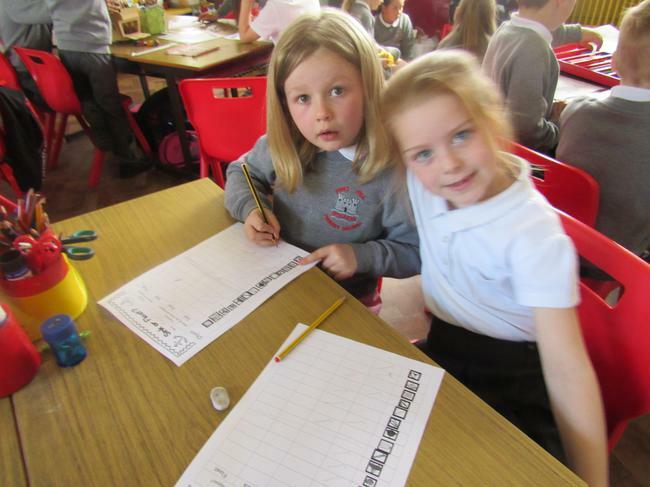 Click on the flag to see more pictures of us practising our Spanish. 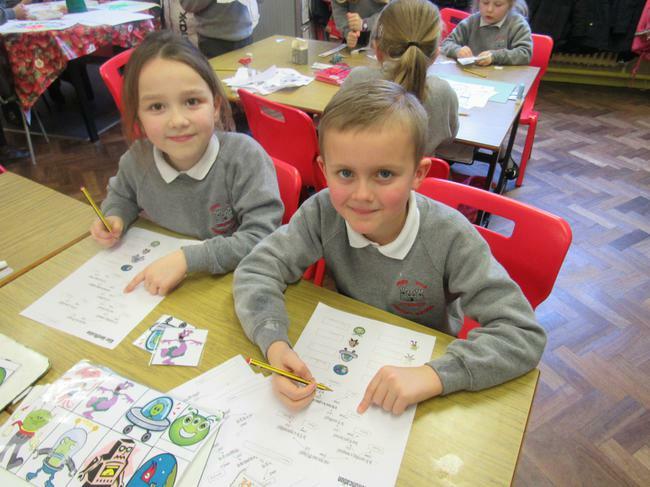 Last half term our topic was Space. 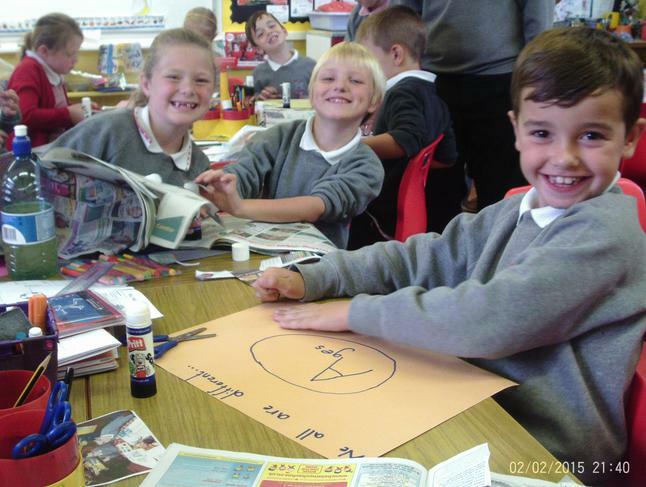 We found out lots of facts about the universe. 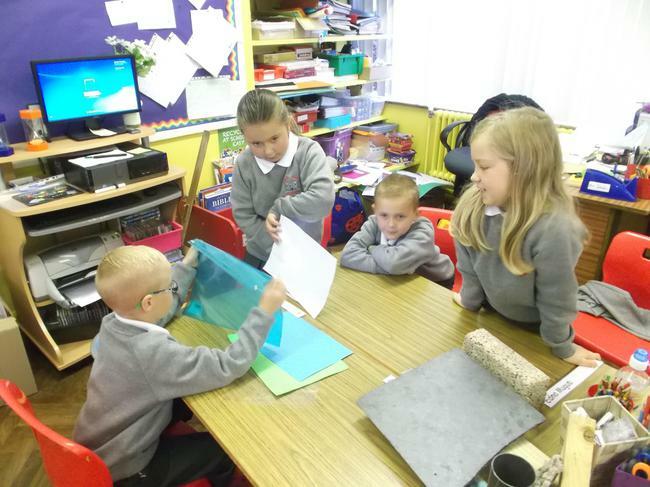 During Activity Based Learning we practised lots of different ways of joining materials. 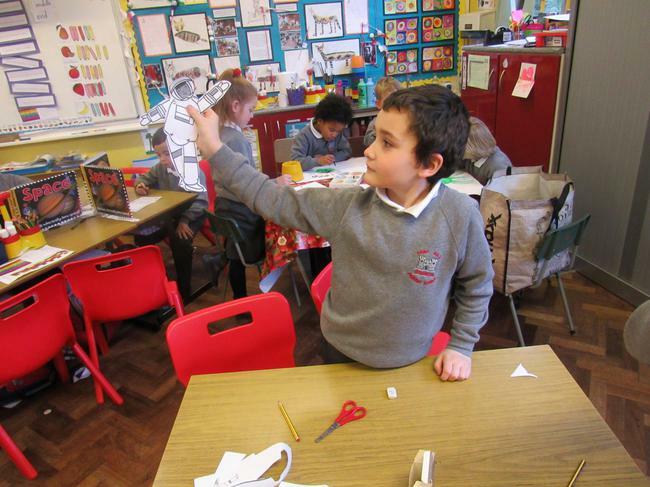 We made junk rockets and astronauts with moving parts. 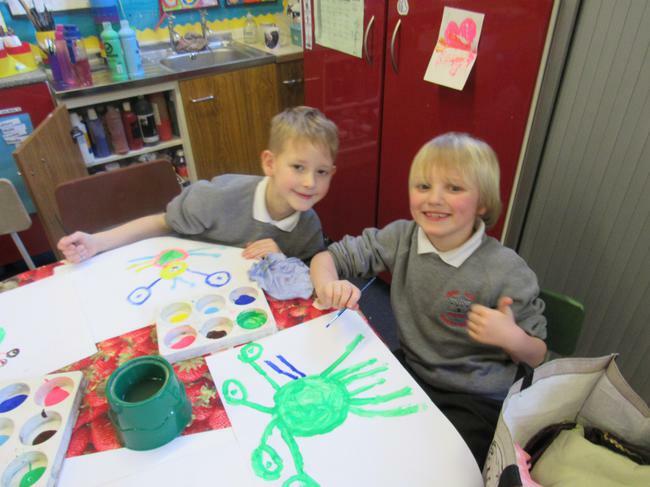 We used our imagination to paint and create aliens. 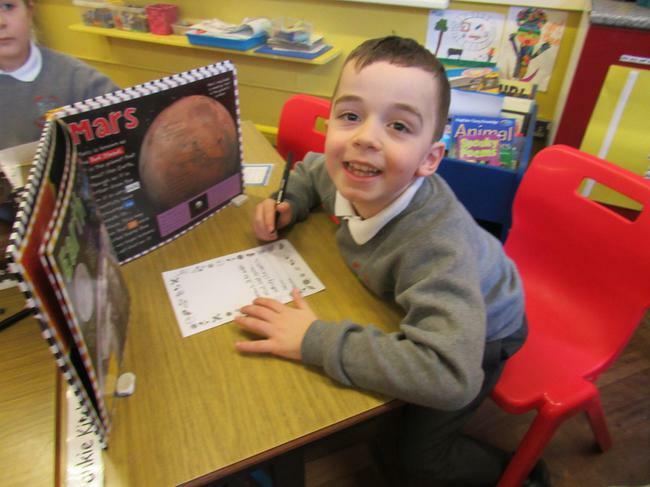 We found out facts about space and wrote these out neatly on lines using the teacher's special pens . 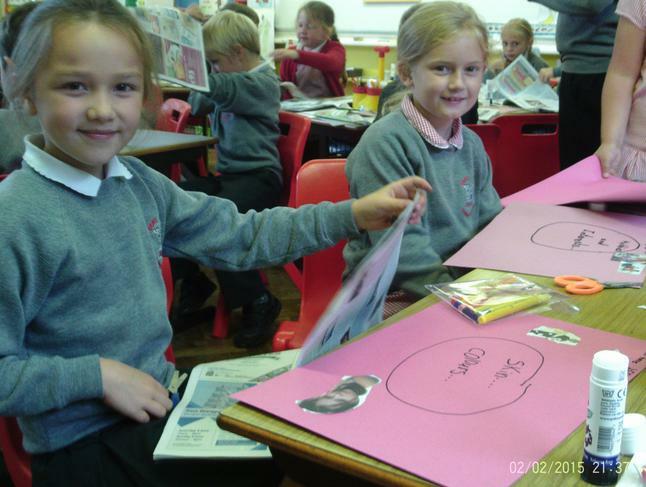 We explored different ways to sort aliens using a Venn diagram. 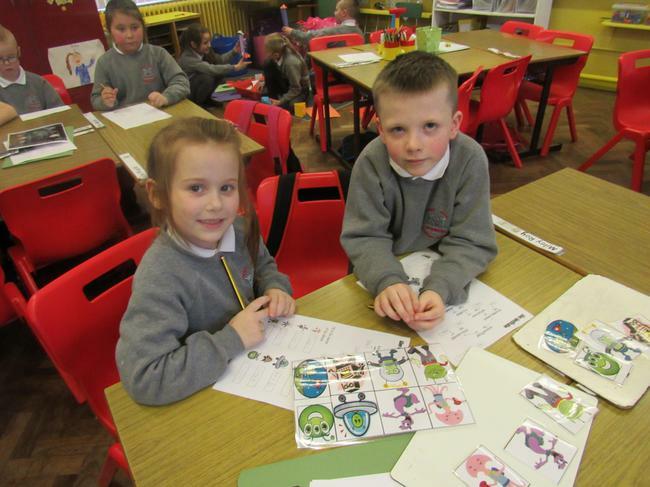 We also then used a decision tree to help us work out different aliens' names. 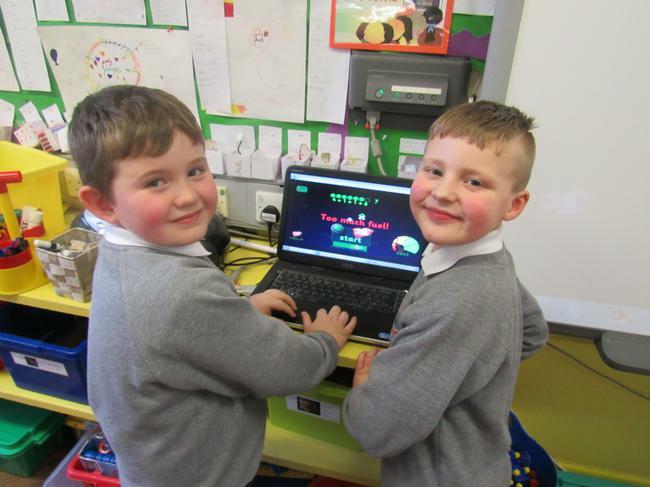 We practised our number bonds on a Space game on the computers. 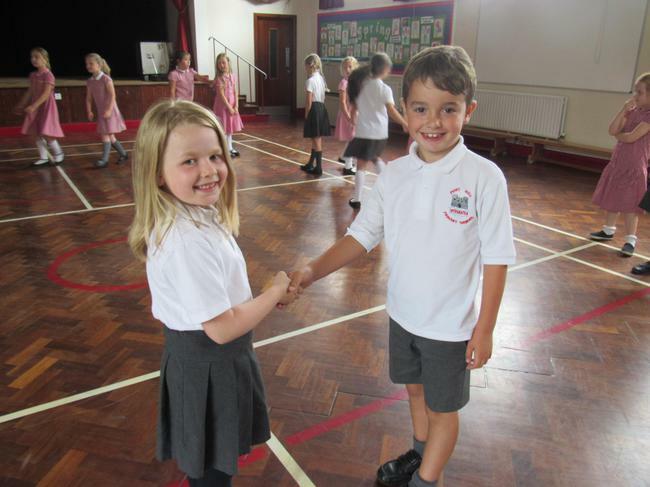 We played 'Memory Match' to help us learn the names of the planets. 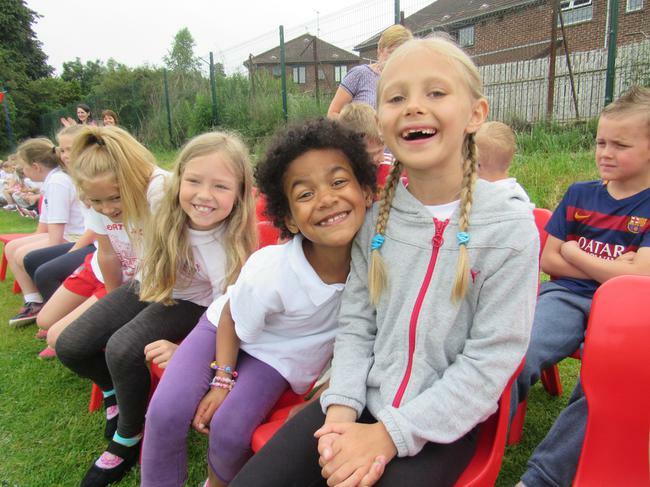 Check out some more of our pictures below. 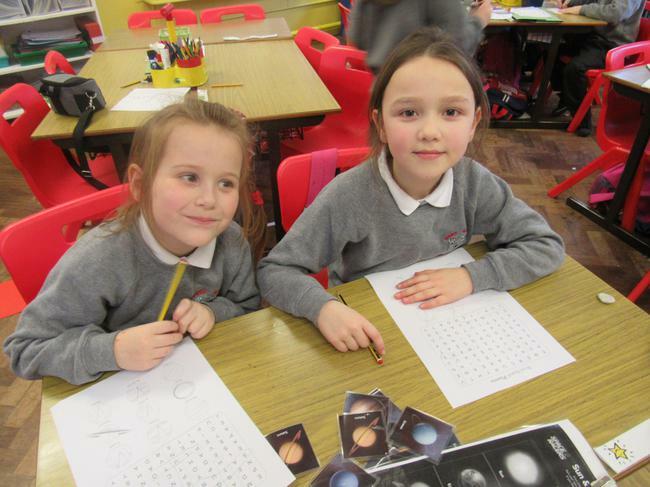 Primary 3 had fun learning all about space at a play date held at Brownlee PS. 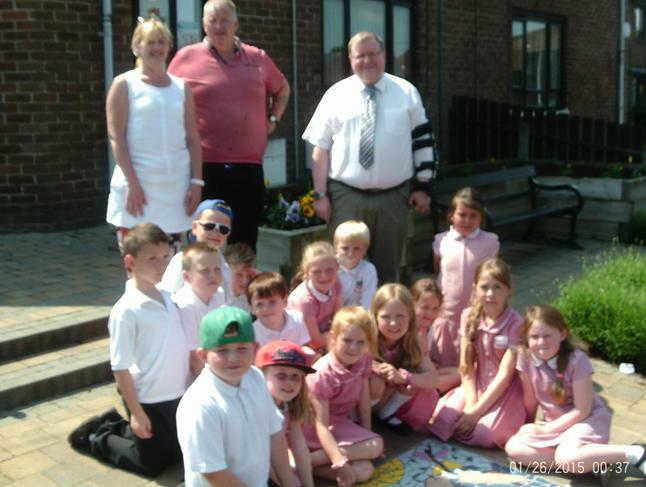 They had 10 missions to complete with their new friends at Brownlee. They got to go on a space scavenger hunt to find the answers to some very difficult questions, print, play games, build space rockets, read space books, match the astronauts and MORE!!! They even got to have a picnic. 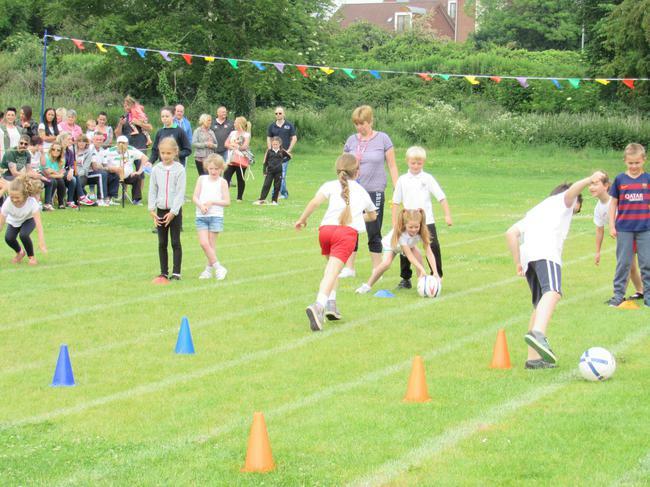 Many thanks to the Brownlee PTA for providing the party bags. 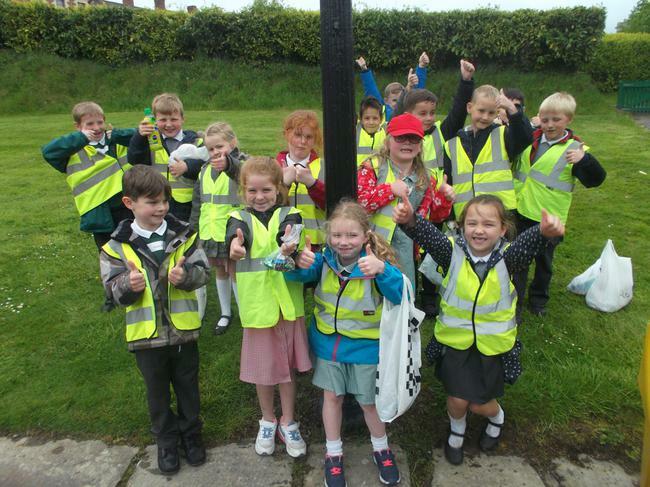 P3 are going to be meeting up again with their groups in May when they are going to be going on a joint school trp to the Cultra Folk park. It will be such fun and of course the sun will shine! Andrea from the Island Arts Centre came in to teach the P3 how to work with clay. She taught them all sorts of new tecniques from embossing the clay with wallpaper to using slip. After their work was fired, their beautiful Christmas tree dishes were displayed in the foyer and then carefully wrapped in handmade wrapping paper to be given as a gift for that someone special! 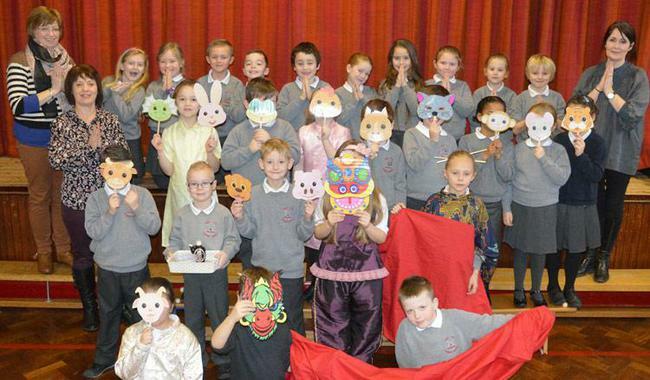 P3 and the Integration Club celebrated the Chinese New Year in their assembly. 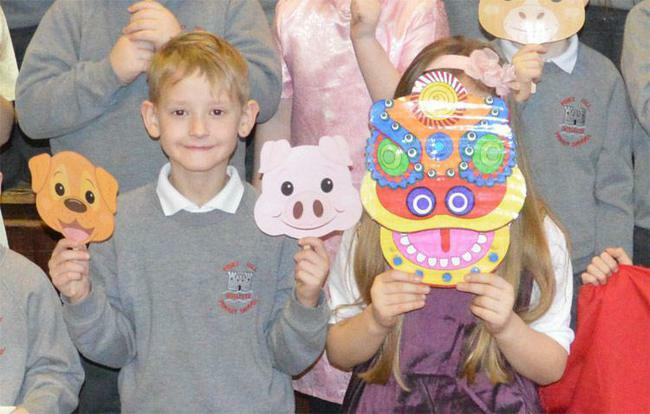 Mr Anderson was born in the Year of the Monkey! Lots of laughs and learning! We had a circus-themed fancy dress day to raise money for 'Children in Need.' 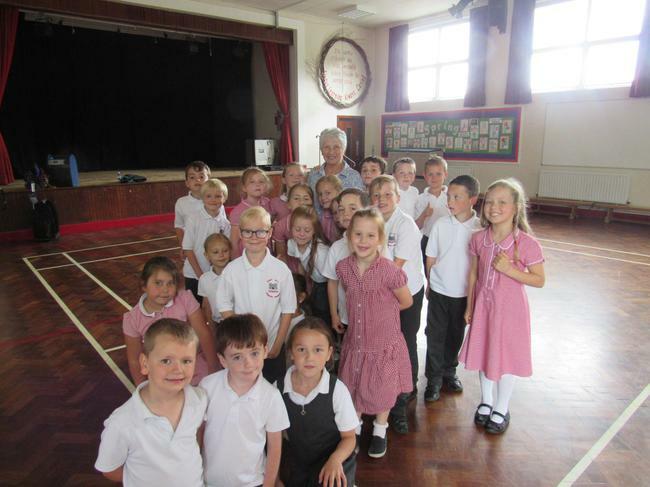 Our school raised £291! We are in the middle of Nativity rehearsals - our costumes made the rehearsal all the more entertaining as Joseph was dressed as 'Spiderman' and Mary was a ballerina! Mrs Best invited an artist into school to teach us how to work with clay and make models. This was so much fun! Check out the links below to see photos of all these events! Here we all are in our classroom! 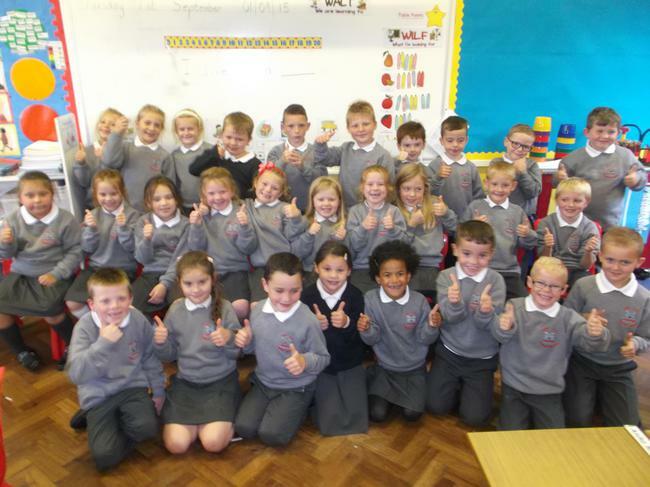 We have a very busy week in P3 - click below to see what we learn each day and what we need to remember. Last half term our topic was Houses and Homes. We learned lots of facts and information about houses and homes. 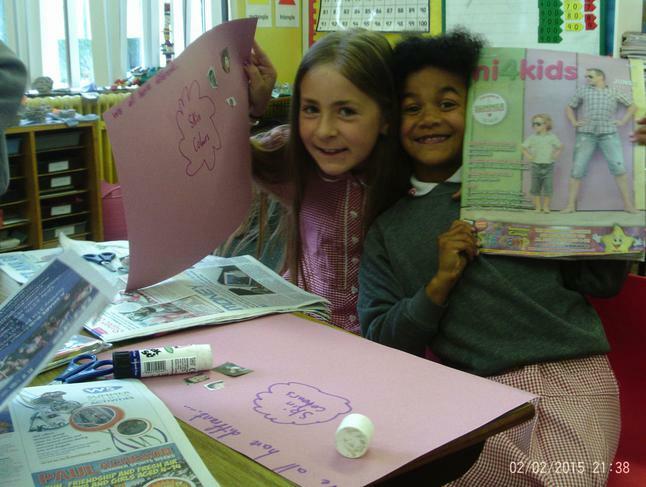 We loved Activity Based Learning when we got to do different activities linked to our topic. 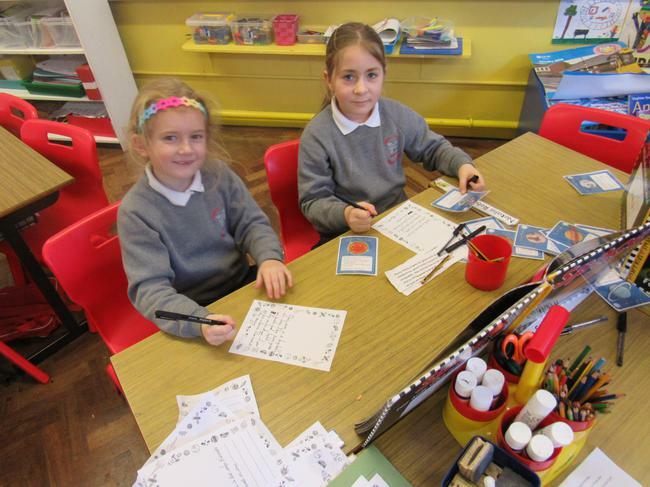 Here are some pictures of us learning lots! Click below to see some more. We have been learning about experiments and have been testing different things in small groups. What is the best material to use for the window of a doll's house? Which do you think will be best? Which will be worst? How will we test the materials? How will we make it fair? How will we show what we found out? On Wednesdays we are having a drum workshop. The first week Tony brought lots of different drums from around the world. 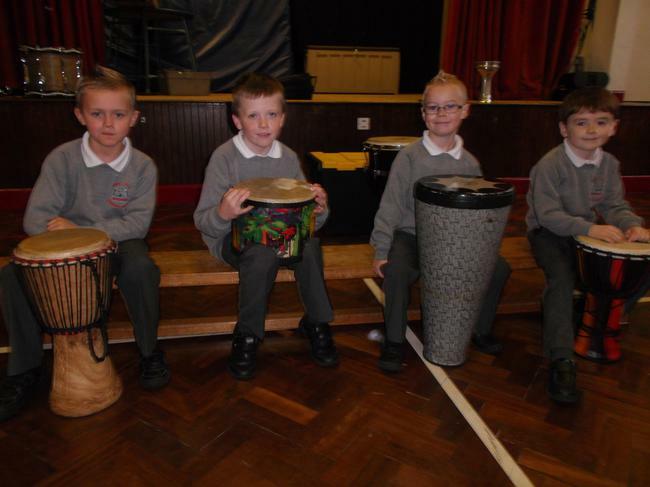 We all got to have a go with the different drums. "Walk the donkey, walk the donkey, walk the donkey up the hill"
Click below to see some more pictures.